Valerie sent Jill a message while we were at dinner which truly rattled me. Until yesterday I believed that so much of what is relegated to mythology could have been the product of imagination. Now I wonder if someone on a different continent, in an ancient age, had exactly the type of encounter I experienced and if these types of visitations have shaped mythology throughout history. The image above is that of Cernunnos. 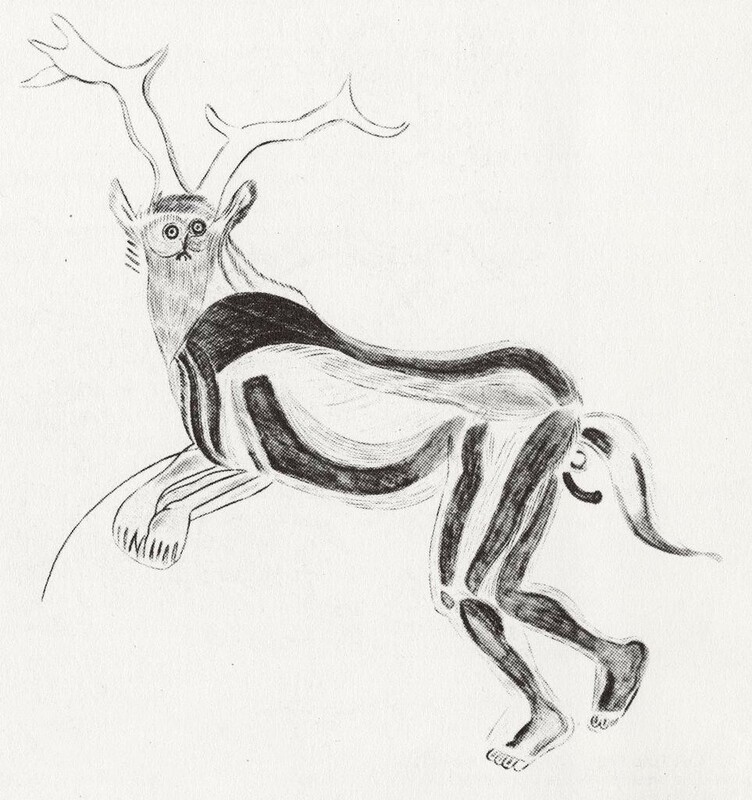 This particular image is from a cave painting in France that dates back to the paleolithic period (13,000 BP). Note the mantis-like position, and how it’s hunched over. It almost looks like it’s leaping. This is exactly how it appeared to me. It was facing me, and I distinctly remember it resembled a dear leaping at me. Note the horns. They were very much like this. They weren’t deer horns; they had a different shape to them. Note the eyes. The eyes of the creature I encountered were dark and piercing. Its mouth was gaping as it stared at me, almost through me. Details I thought of later were that, although Karma, my cat, alerted me to its presence, she was not afraid of the creature and did not hunch up or hiss. And although I was naturally alarmed at encountering such a being, I can’t say that I felt it was evil or threatening. I also have to tell you that I have never, to my knowledge, seen any sort of depiction of this being. Revisiting the possibility that I was in a hypnopompic state, I don’t believe my brain had the reference material to create such imagery. Thoughts of Jung and the collective unconscious come to mind, and so I will explore this idea, but I feel I have to try and accept this incident at face value. So I am convinced that I encountered a being in my house that evening. As for the symbols, I have some really solid leads and believe them to be related to Palo Mayombe . Thank you to those of you who have reached out to help me solve these mysteries. If I decide to update this post, I will post them below.